I've been to Switzerland. 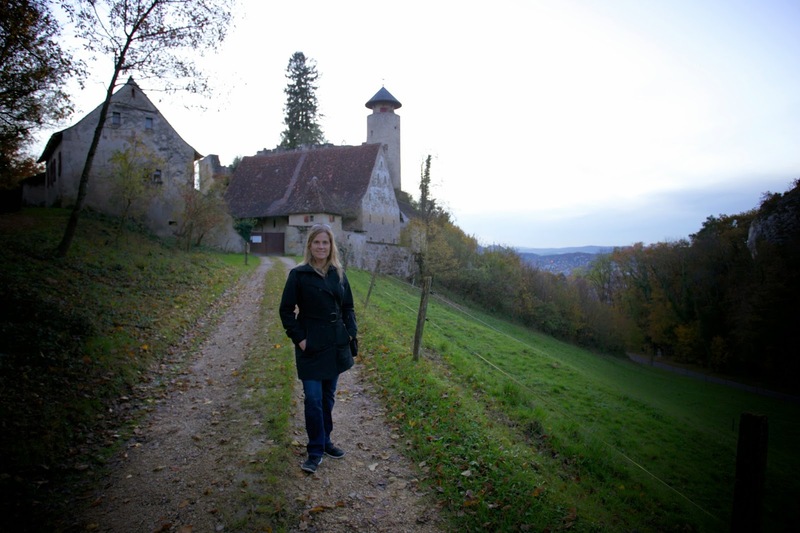 Lucerne is wonderful. 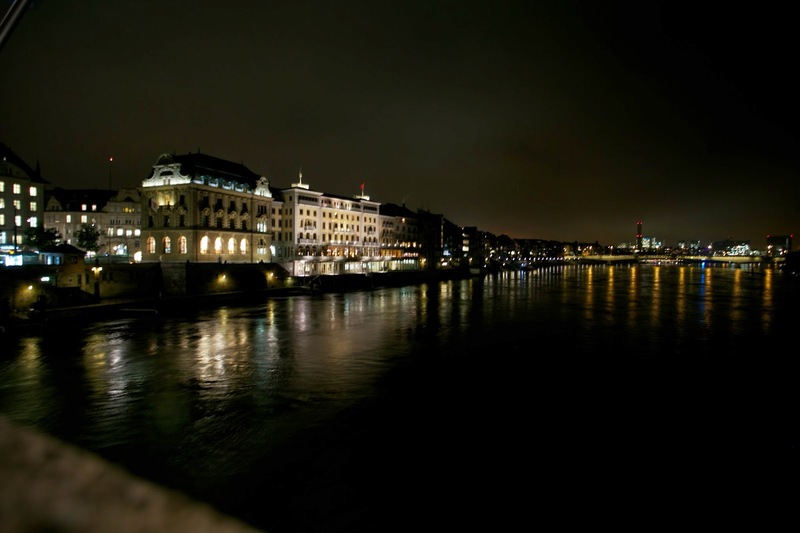 Climbing about the Alps is fantastic, but what could Basel offer? Turns out, lots! 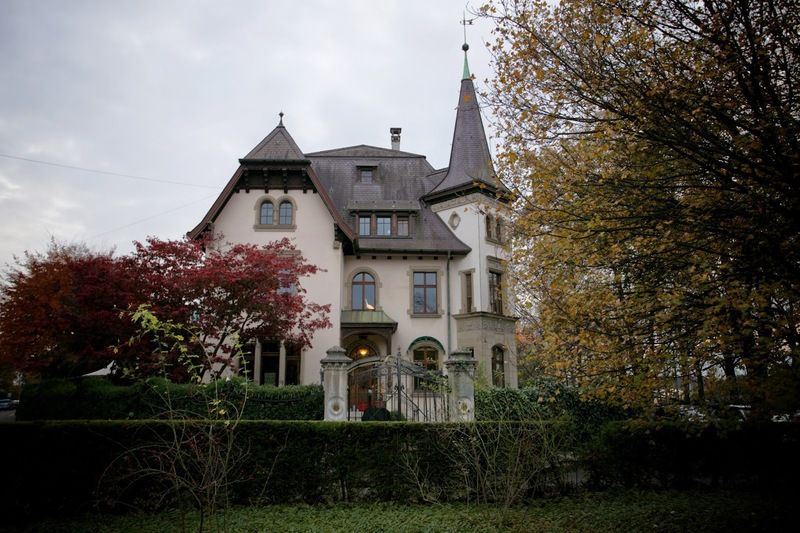 The main mission of our trek to Basel was to scout the City for apartment locations. This was no ordinary sight seeing trek. Lucky for us, the public transit system is probably the easiest and most efficient way to see the city and the surrounding towns. So, we purchased a four-day, all metro pass and dove right in. Our first mission was to find the location of our flat for the stay - in one of the nice neighborhoods not five minutes of so from City Center. On our way from tram central, Darby said to me, this place will be nice, so "don't get used to it. Corporate housing will be much more modest." The home to the left was one of the nicer locations near where we were staying for the duration, and along the walk to Roche from the apartment. Needless to say, we weren't going to be lucky enough to secure such fine accommodations, but dare to dream right? On our first Saturday together in Basel, we hit the City Center where there is a farmers market and the trains run right through the middle of the plaza. There is shopping aplenty, but be wary of the prices. All items are marked in Swiss Francs and the exchange rate isn't entirely favorable. Indeed, a river does run right through it. 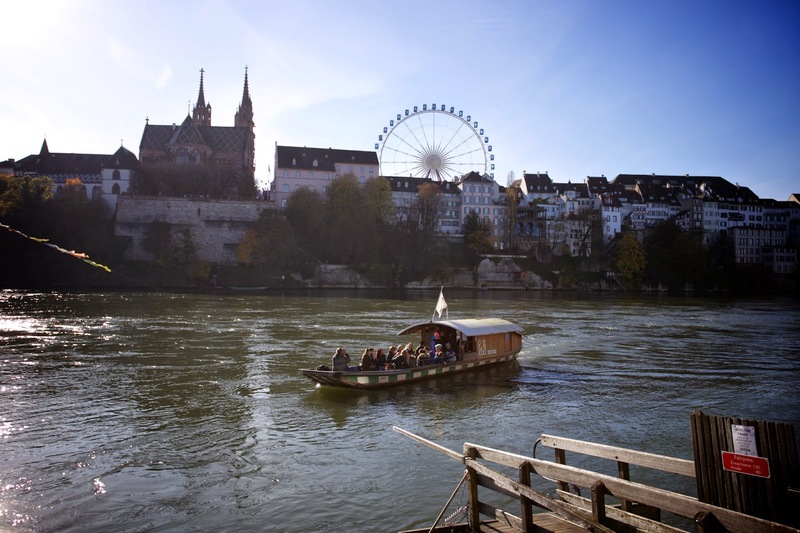 The Rhine River flows swift enough to power a boat across it, shuttling tourists back and forth. On sunny days, there are flocks of people along the river's banks, enjoying the out-of-doors. Sidewalk cafes, restaurants abound. At this time of year, there was a carnival threaded through the whole city, with rides sprinkled through out the smaller plazas about town. 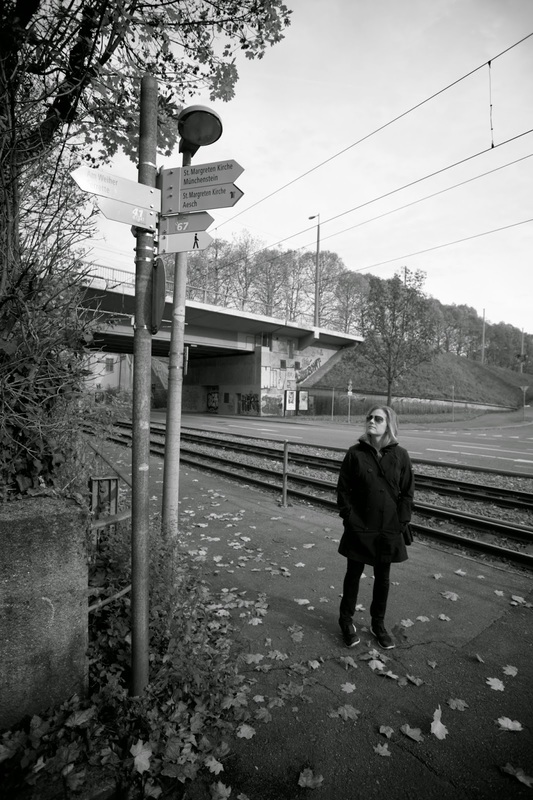 As we stretched our wings along the different tram lines, we found some wonderful hiking not more than 20 minutes outside of the Basel center. I'm told that, at the various ends of the different tram lines, one can actually walk across the border into France or Germany, within minutes. When hiking at the right time of day, one can hear the chimes ringing. Mixed with the gurgle of a nearby brook or the clanging of the cowbells, you find yourself thinking, "now, how the heck could we be only just 20 minutes outside of the city?" 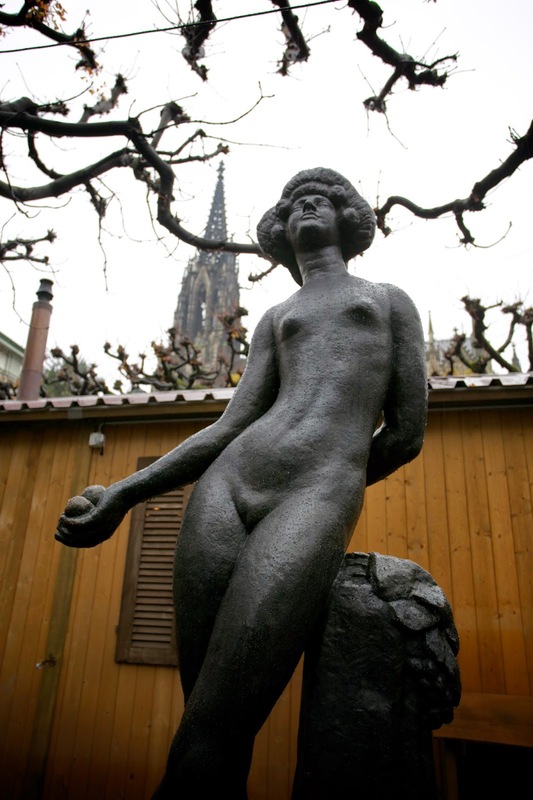 Overall, Basel has the look and feel of a major metropolis, but retains the character of a super small town. Very much a liveable city. 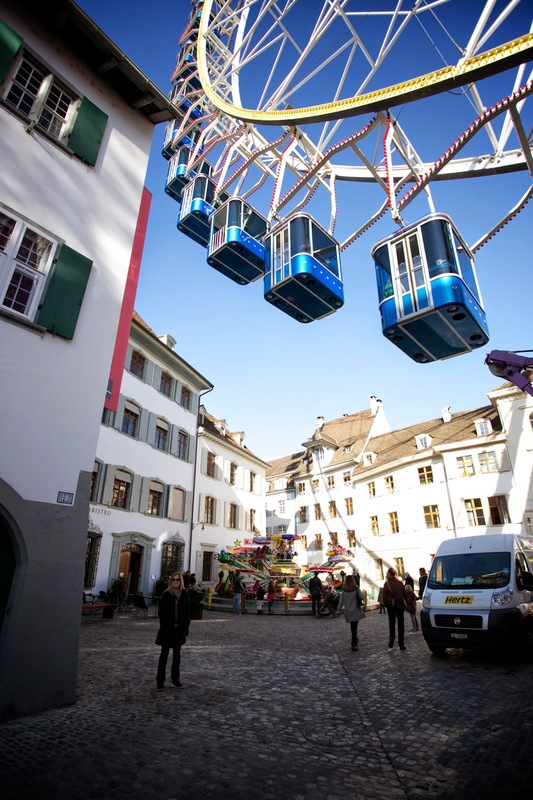 We didn't have a chance to visit any of the many museums (of which Basel has the largest number in all of Switzerland), but over our short time there, I was able to take just about every tram line. Once one does get outside of the city proper, the country side dominates. Given that we are only going to be there for a short time, I got the sense that we should probably live inside the City limits. 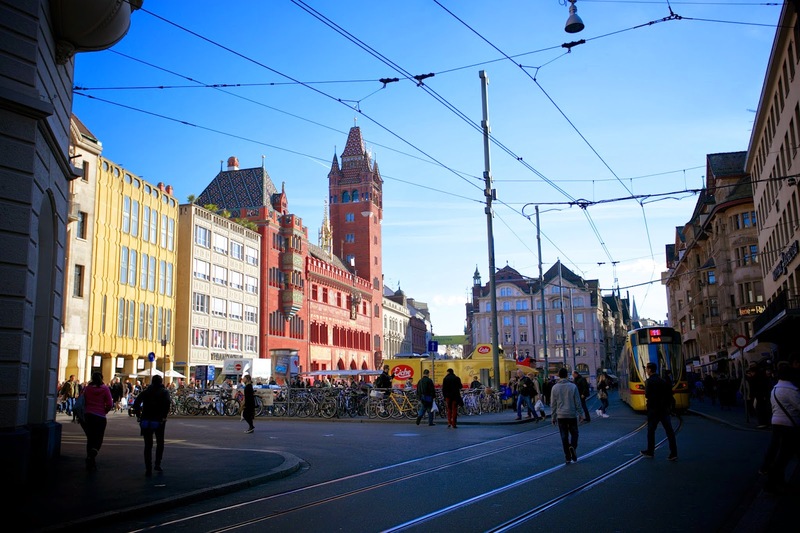 Within walking or cycling distance to most of what Basel has to offer, we would be in close proximity to the heart of it all. I expect that being able to take advantage of what the city has to offer will be way better than living in the outskirts that are 20 plus minutes outside of town near our new school. 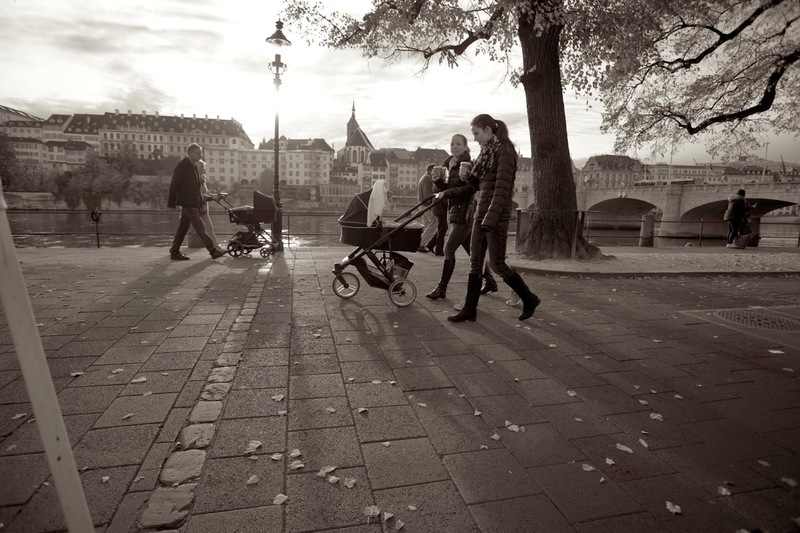 On the whole, Basel is a fantastic city. Very walkable. Very much a bicycle friendly town, living in the thick of it will be the right way to roll. We hope many of our friends and family come for a visit. At the link, you can see all the images I took and processed post visit, if you are curious to see the whole set.